A rare photo collection, including never before seen shots from Ed Gein’s house of horrors. Exclusively for True Crime Magazine readers! Ed Gein’s house of horrors. Police investigators digging for evidence in a garage on the property of Ed Gein. 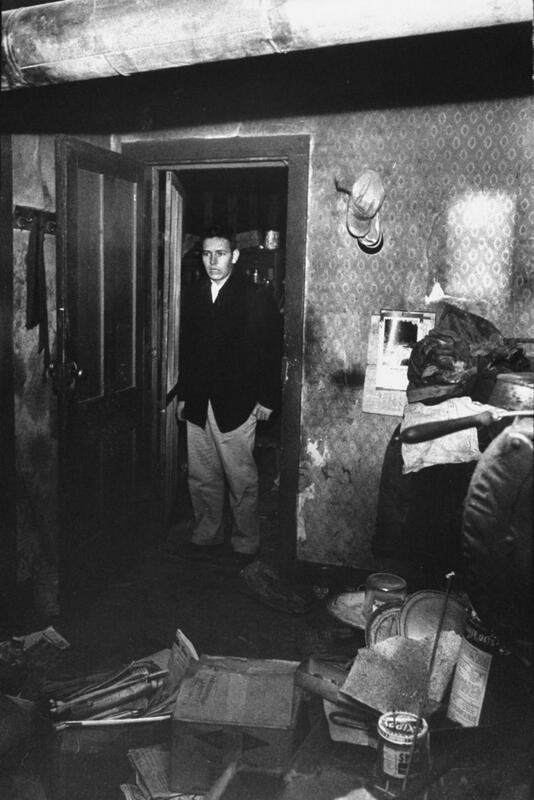 Ed Gein’s neighbor, Bob Hill, looks on in horror while standing in the interior doorway of Gein’s house. 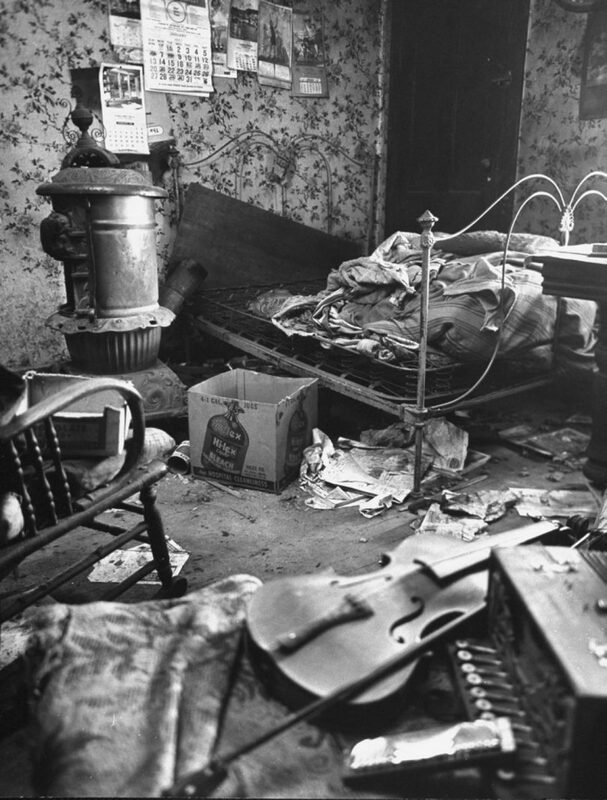 The filthy, cluttered bedroom of Ed Gein. Gein boarded up rooms used by his mother, leaving them untouched and pristine as the rest of the house became increasingly squalid. 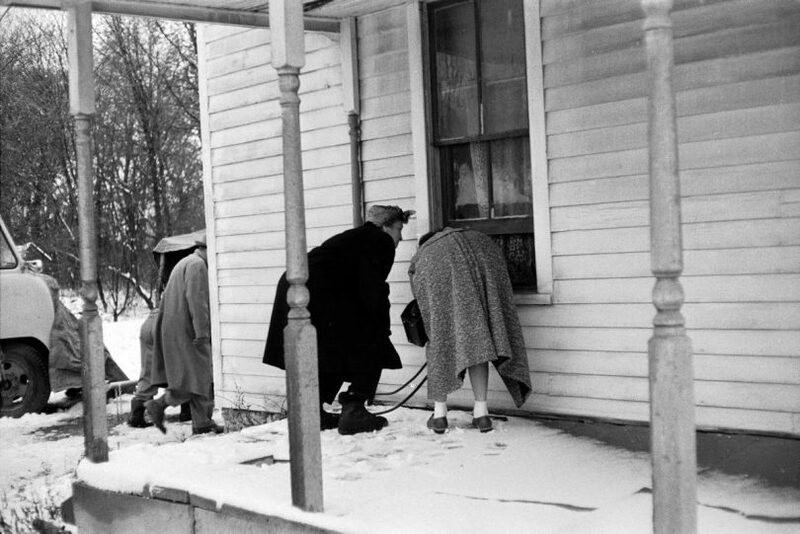 Curiosity seekers peering into kitchen window at alleged mass murderer Ed Gein’s house. Police investigators (one of whom points up at the roof) search for evidence on the property of Ed Gein. Ed Gein’s filthy and cluttered kitchen where investigators discovered body parts of his victims. 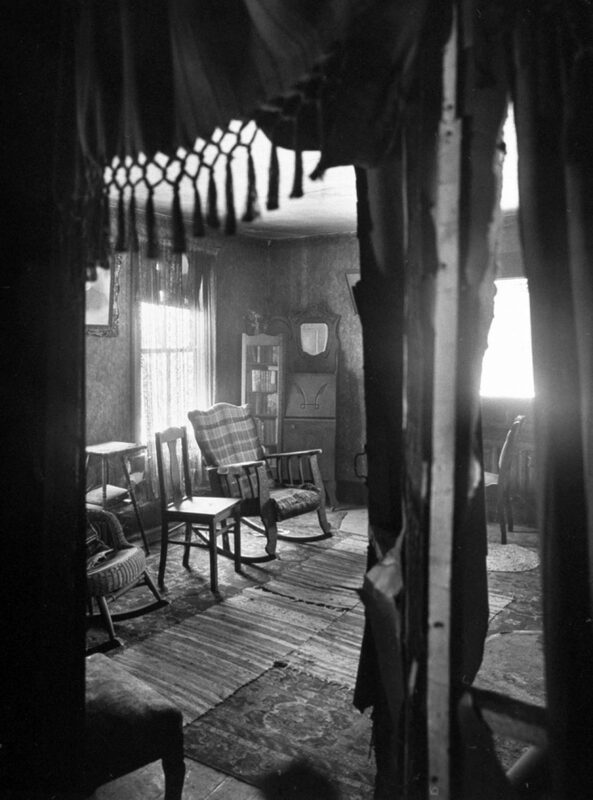 Ed Gein’s beloved mother’s room remained neat, uncluttered and unused after her death in stark contrast to filthy, cluttered rooms in rest of the house, where parts of his victim’s bodies were found. Crime lab specialist Jim Halligan carrys a chair through a doorway as he searches for evidence in the disorganized home of Ed Gein. Curiosity-seekers peer through a window into the house of serial killer Ed Gein.